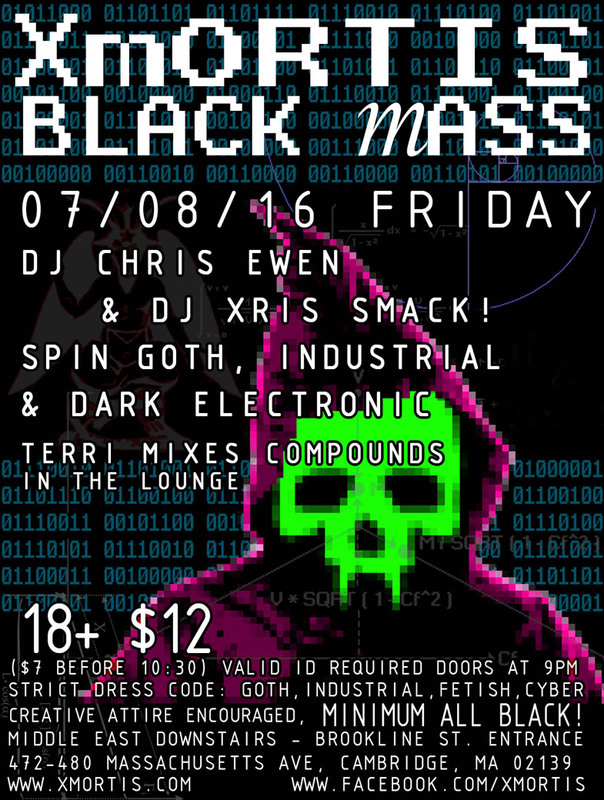 XMORTIS "BLACK MASS" is THIS FRIDAY July 8th! 18+ $12 ($7 before 10:00) 9pm - 2am. DRESS CODE: ‪#‎Goth‬, Industrial, Fetish, ‪#‎Cyber‬, Elder God, Sacrifice, ‪#‎Cosplay‬, Creative Attire Encouraged, MINIMUM ALL BLACK! :Chris Ewen, Deathrock, Fetish, Goth, Industrial, Latex Lily, Patmanta, Xmortis, Xris SMack!